Everyone who knows trucks knows that the name Ford is synonymous with tough, strong, great looking, and high-performance trucks. Whether you are a Ford truck fan for work or play, Ford trucks can handle any task you throw at them. Weekend getaways for adventurers? Ford trucks have you covered with the ability to seat passengers, store and organize cargo, and haul a heavy load with all your recreational equipment, from kayaks to jet skis. Headed off to work? Ford trucks have your back in this arena as well. With top-of-the-line technology as well as high-tech hauling and towing hitches, lights, and mirrors, Ford trucks can accomplish anything you need them to. So, what’s new for 2019? Let’s take a look at what drivers can look forward to in the new year for Ford trucks. Ford brings back a favorite for 2019 lineup with the return of the Ford Ranger. Back on American soil and tougher than ever, this iconic Ford pickup is sure to shoot to the top of many Ford truck fan favorites. The Ford Ranger boasts some of the greatest off-road capabilities around-even when hauling heavy gear. Drivers can test drive the return of this Ford favorite this November. If they like what they see, they will only have a few months to wait to get behind the wheel. In the meantime, they can check out all of the trims and specs on the Ford Ranger that await them when they are ready to build their dream Ford truck and driver off in it. The Ford F-150 gets a major performance upgrade for 2019 when it gets the Raptor’s 450 horsepower engine and also gets an additional 40 pounds-feet of torque. The F-150 was nicely refreshed in 2018 and now with this engine upgrade, it really wows Ford truck fans. A favorite in the lightweight pickup market for many years, the F-150 is now in the position to really blow its popularity out of the water. Buyers of Ford’s popular trucks wanted more power and Ford delivered with these 2019 upgrades. New camera systems and driver alert technology allow drivers to be more aware of what their cargo is doing, as well as what drivers around them are doing. A new touchscreen upgrad for the infotainment system amps up the wow factor of this Ford truck for 2019. The Ford F-250 has a new, lighter aluminum body that lightens up the overall weight of the vehicle and makes it a much more efficient vehicle. The Diesel V8 gives more power than you know what to do with and all the torque you would expect from a vehicle that delivers that much power. The cab is spacious and roomy, making it a pleasure to ride in and drive. The new Lariat Sports package is perfect for those who love their Ford F -250 to have power on and off-road and be able to take it on long weekend vacations with great towing capacity for their sports gear. The interior experience on board the 2019 F-250 is also improved by the premium Sony Stereo allowing drivers to listen to all of their music, connected directly from their smartphones via Apple CarPlay or Android Auto. The Ford F 350 delivers the same amazing torque and payload it always has, with its V8 engine. Its lightweight body and roomy cab mirrors the F-250, but adds more towing and hauling weight capacity to its slightly smaller sibling. The Lariat Sport trim also upgrades on the F-350 with 20-inch wheels, a spray-in bedliner, black trim, and more accessories and flourishes for the sports-minded driver. Impressive additions are coming for the 2019 Ford SUV models as well. Take a look at some of these upcoming enhancements below. 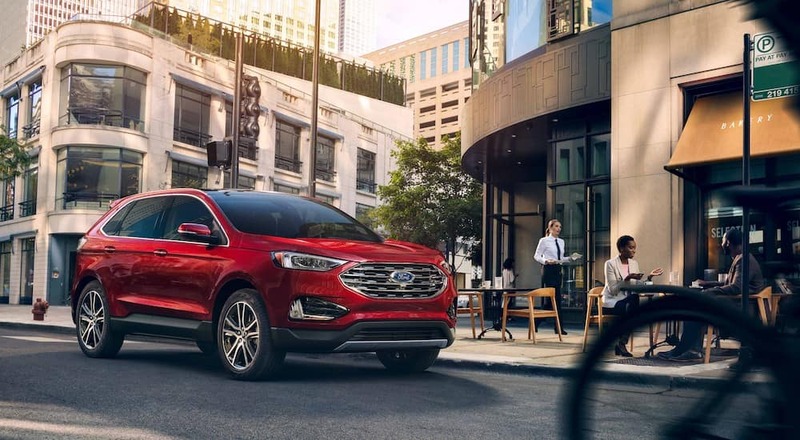 The Ford Edge is Ford’s Crossover that is getting a major upgrade in 2019 with the introduction of the Ford Co-Pilot. The Edge will be the first suite to include these driver assist technologies. Highlights include automatic emergency braking, blind spot information systems, cross traffic alert, rear view cameras, and a lane-keep assist system. The Edge has a sleek and sculpted design finish and offers drivers the peak of driving performance with its ST model. Ford announced that it would be designing and releasing a long-range all-electric performance SUV. While no one knows the exact details of this SUV yet, drivers who are fans of green technology are enormously excited and are highly anticipating its release. The long-range battery vehicle is predicted to have a capability of going 300 miles without a charge. In-depth details are yet to be released, and Ford truck fans are waiting at the edge of their seats to find out more and learn when they will be able to drive off in one of these environmentally friendly SUVs. The 2020 Bronco is still a whole year away. However, we’re including it here, because Ford truck fans honestly can’t stop thinking about this iconic vehicle, wondering about its specifics, and getting in line to get their hands on the steering wheel of one of these bad boys. The classic Ford Bronco was in production from the mid-1960’s until the mid-1990’s. Word on the street has the new 2020 Bronco holding onto its classic rugged looks, while upgrading its performance and its interior styling and technology to cater to modern drivers. Maintaining its classic charm, but amping up its modern tech for performance, safety, entertainment, and communication will be the biggest challenge the Bronco will face. And from what we’ve seen so far, we’re pretty sure they have what it takes to take on that challenge and conquer it. For 2020, Ford is accepting this challenge and bringing this amazing classic truck back. A fan favorite then and still a fan favorite now, the 2020 Ford Bronco is the truck no one can wait to find out more about it! If you can believe it, 2019 is rapidly approaching. As the year moves toward drivers and Ford truck fans will be excited to see what’s going to be newly released. 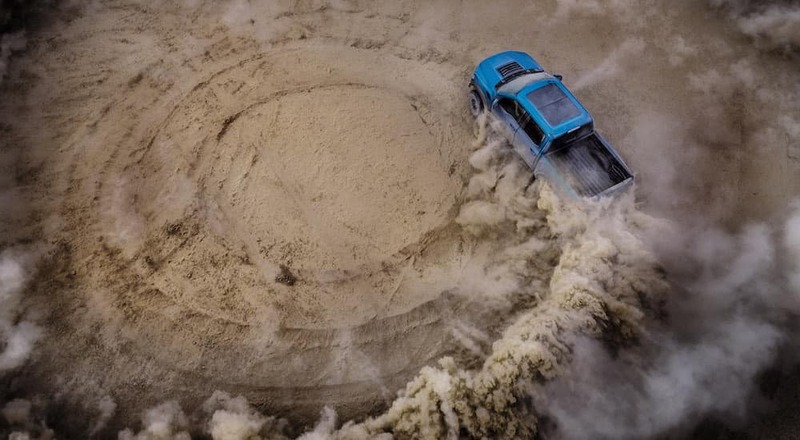 Check out your local Ford dealerships online and then head on over to their showroom to see the unveiling and long-awaited appearance of these great new Ford truck models in 2019 and 2020. 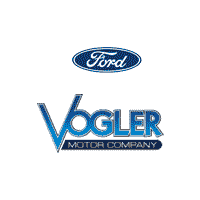 When you’re ready to buy, Vogler Ford has the best customer service team to help answer all of your questions and get you behind the wheel of the Ford truck that is perfect for you. Our expert finance team will guide you through the process of getting the best lease or loan to fit your budget and credit needs. We can calculate your down payment along with the amount you would like to pay each month, factor that in with your credit score and be able to give you the best lease or loan possible. Stop by our showroom today and ask about our sales deals, lease specials, and other incentives we may have running that will make it even easier to get you behind the wheel of the Ford truck of your dreams!